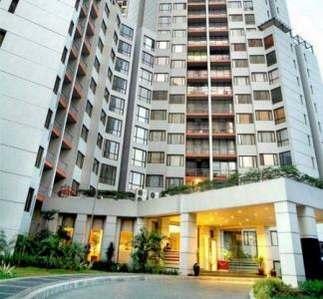 Condition: Great apartment for sale in Kuningan Area. 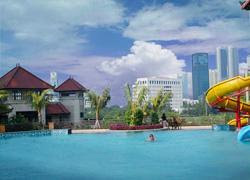 Aston Rasuna is located in the prestigious Rasuna Epicentrum complex as part of Aston Hotel and Apartemen Taman Rasuna. For many years, it has been a favourite for expatriates and locals alike. Close to all amenities and Kuningan/Sudirman CBD. 3 bedroom apartment located on the 8th floor in excellent condition, with city view and a balcony. Fully furnished. Great for investors and owner occupier. Facility: Within walking distance to Epicentrum Walk, Pasar Festival shopping centre, Farmers Market, numerous restaurants and bars, clothing stores, swimming pools, gym, sports facilities, 24 hr mini-market, pharmacy, High Scope kindergarten, banks, ATMs, and many other amenities to simplify your life. Additional Info: Also available Aston Rasuna 3BR fully furnished tower 4 10th floor with pool view, asking price Rp 1,300,000 (nego) and Aston Rasuna 2BR fully furnished tower 4 15th floor with pool view, asking price Rp 900,000,000 (nego).